Grace has 50 years experience in the art world., having studied Graphic Design at Swinburne and oils with Allan Martin and Lesley Sinclair of Montsalvat in Victoria. A change to pastel in 1988 was the beginning of a long love affair with the medium. The Grace Paleg fine art Studio Gallery was opened in 1996 at Batemans Bay on the South Coast of N.S.W. and it is from there that Grace continues to teach local students as well as instruct groups who incorporate a holiday with private tuition. Grace travels widely instructing at workshops and Art Festivals and Societies as well as judging throughout Australia and NZ. 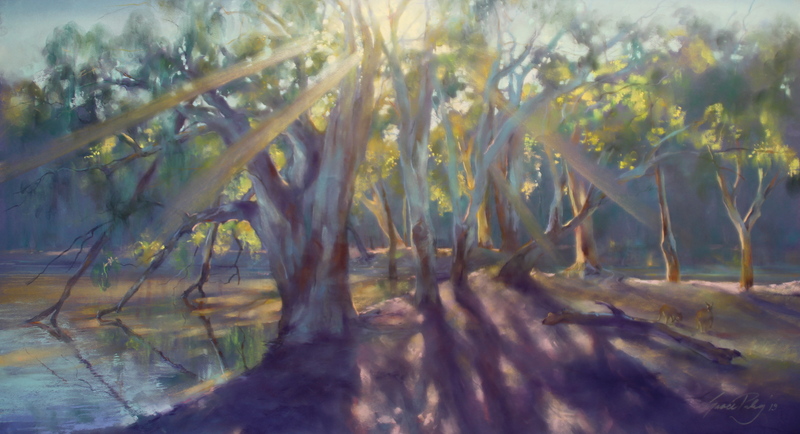 Awards have been many and varied with over 200 prizes including six times best pastel at the Herald Sun Camberwell Rotary art Show, twice the Ming Mckay award ,three times best in show from the Victorian Pastel Society of Australia and recently the major award at our local South Coast Pastel Societies National awards.